This application does everything that you would expect. Handy app. I do a lot of cooking and always find the need for a correct temp. Very helpful. This app has proven to be very helpful and I will recommend it to my friends. Thank You. Great app. 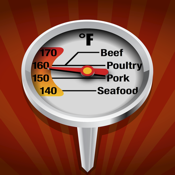 With this app and a good instant read thermometer, you'll never overcook meat or fish again! Open by my side every time I grill! Thanks! Handy. I use it every time I grill! It's great to have the temps at easy reach. Easy and simple. I love this App. It is so easy to use for Servers and new Chefs, so they can easily let guests know what are our standard temps for whatever protein we serve!!! Been using this app for several years now. Love it! Quick reference to cooking temps when needed. It's nice and easy to use very handy. Doe exactly what it is designed to do. Simple app that gives you the info you need. The app does what it says. 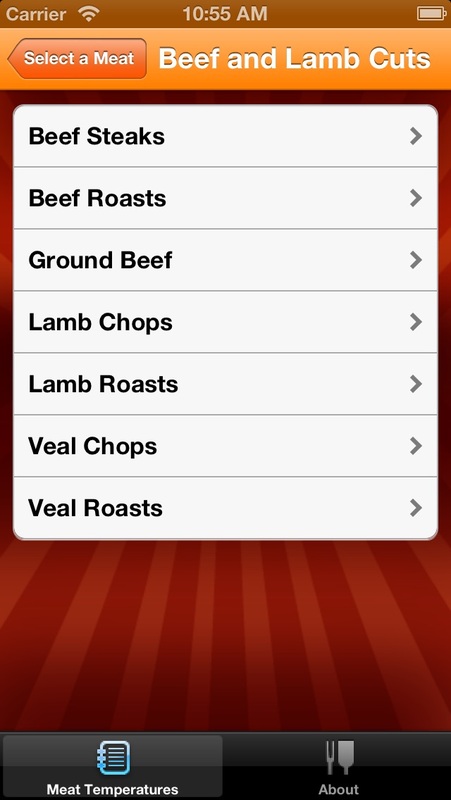 However, for a paid app I would expect a little more than just basic USDA temps listed for various meats. I could have done that with my Notes app. Also, if I pay for an app I don't want advertisements. This app pops up an ad asking if you want to buy one of their other apps. For what it is... I wouldn't pay for it. I had no idea I would be using this app that often. It has really come in handy. No more guessing on the temps. A great quick reference guide. Nice app. Not just for cooking on the grill! Bit of a misnomer - meat temps is meat temps. Useful reference though. Terrific little app, really handy while grilling !!!! Fairly basic app that mostly shows USDA recommend temps. Does have the different temperatures for steaks, but that's about it. This is a helpful app. It is important to understand "resting" times in order to fully appreciate food safety. 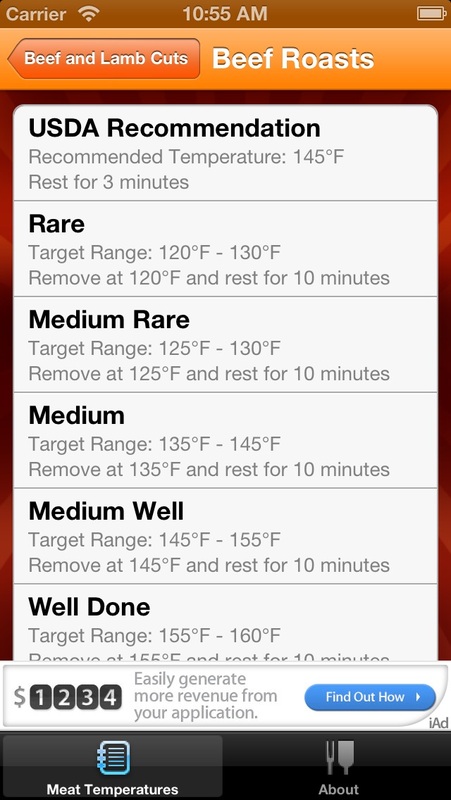 Simple, easy to use app for meat temp! I use it all the time when grilling! Great App! Recommend to everyone. For recipes, go elsewhere. 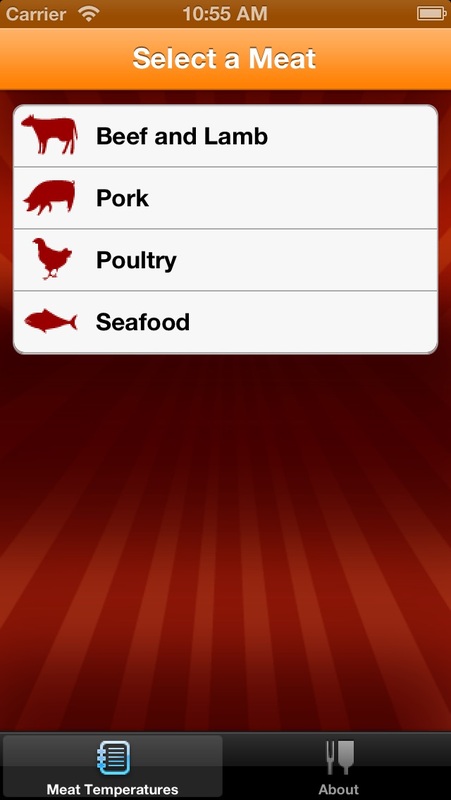 But if you want to know the proper temperature to grill, roast, or BBQ the most common foods, this is your App. Includes USDA temps for the cautious and the recommended temps for gourmands. Food is healthier and more delicious when cooked properly. Buy a nice digital thermometer and enjoy. I started using this app and realized how much I was over cooking meat. It has really helped me produce better product and everyone enjoys my grilling more than before. It also makes reheating better. Thank you! This is a great little app for those times when you can't recall the safe temperature or resting time. My grilling has improved greatly with using a digital thermometer and knowing the when the meat is at the precise temperature. how did I not have this sooner ? easy app ! nice and simple - cant go wrong with it ! Yep, does the job, great quick reference for cooking meat. What more can one say. My iPad is always with me and now I no longer need to look or guess at what temperature to remove what I an grilling and so far the temp that they suggest is accurate.